Michael Okpara University Of Agriculture, Umudike (MOUAU) UTME/DE Provisional/Merit Admission List for 2018/2019 Academic Session Successfully Uploaded Online - Check MOUAU Post-UTME Results Online. 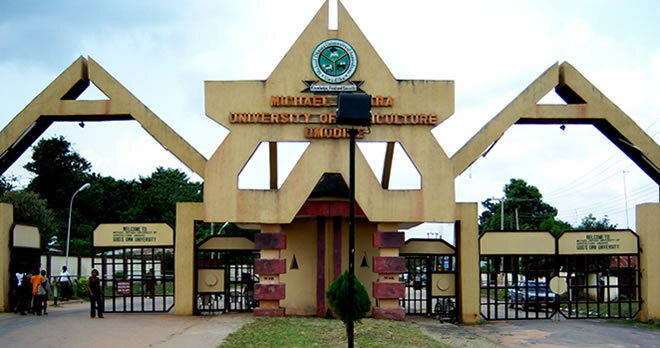 The Michael Okpara University Of Agriculture, Umudike (MOUAU) has successfully the admission list containing the names of candidates offered provisional admission into the institution’s various degree programmes for the 2018/2019 academic session is out. Kindly log on to MOUAU admission status checking portal via https://mouauportal.edu.ng/. Candidates must pay an acceptance fee of Thirty Thousand (N30,000.00) only, and present official receipt to the College Officer in their Colleges for further information on screening and registration. Candidates qualifications must satisfy the University's Minimum Admission Requirements. Original copies of their education qualifications (Statement of Results/Certificates). Awaiting Results will not be accepted. A letter of attestation to University from your parents/guardian vouching for your good behaviour. The University reserves the right to withdraw your admission if it is discovered that you have been involved in any form of examination/admission irregularity even after registration. Information relating to registration, Schedule of Fees, Accommodation facilities and medical examination should be obtained from the Office of the Registrar.